Ganley Toyota has a convenient online form that allows you to value your trade-in from the comfort of your Canton, Ohio home! Answer the few questions that comprise the form and send it over to us; our team of professionals will review your material and all the ways you cared for your ride and will provide you with the fair price you deserve! By showing all the ways you took care of your car like only using genuine parts and staying on top of the maintenance schedule, you can secure what your ride is worth! Don't deal with the hassle of independent buyers, team up with Ganley Toyota for a stress-free transaction that will leave you feeling satisfied! After we present you with an appraisal, take some time to think it over. 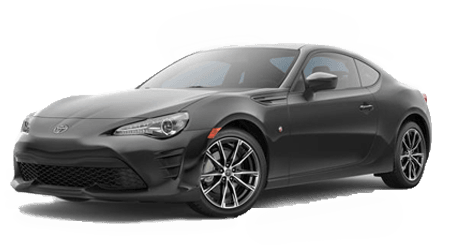 Our Toyota dealership in Akron, Ohio is not here to pressure you into making a decision; we're here to provide you with all the information you need to choose a course of action that will complement your needs. Feel free to ask questions; our knowledgeable staff members look forward to speaking with you, addressing your concerns and valuing your trade-in today! While you're here on our website, why not express interest in financing? You can trade in your ride and secure a brand new Toyota Corolla with your less than perfect credit, contact our finance department to learn how we can assist today! When it comes to vehicle services, our new and used car dealership has so many options to choose from, don't miss your chance to trade in and trade up! Reach out to us or make the trip over from Brunswick, OH to speak with an associate in person now. Bryan just bought an awesome manual Civic Si! Congrats! Welcome to the Ganley family!